Innovative Rotherham firm, Metalysis, has landed another overseas Research & Development contract regarding the creation of alloys from rare earth elements. Backed by investors and grants, Metalysis, a Cambridge University spin out, secured £20m of investment and opened a Materials Discovery Centre in a 22,000 sq ft unit on the Advanced Manufacturing Park (AMP), also in Rotherham. It is also scaling up production of titanium at its Farfield Park premises. Natural Resources Canada (NRCan), has now announced a new contract for work on the production of rare-earth-element (REE) oxides and alloys. And experts from Metalysis will be involved. NRCan is the Canadian government department that oversees the responsible development and use of Canada's natural resources and the competitiveness of Canada's natural-resources products. During the research project, REE solutions will be prepared at the facilities of Ontario-based Process Research Ortech Inc., followed by the precipitation and calcination of REEs from these solutions to produce high-purity REE oxides. Innovation Metals Corp. (IMC) will then work with Metalysis to study the co-reduction of the REE oxides with other metals to produce REE alloys. 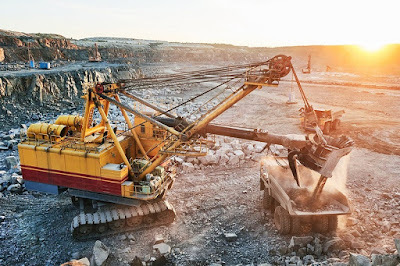 Last year Metalysis formed with Mkango Resources Ltd, a Canadian listed mineral exploration and development company, to work on rare earth permanent magnets that are at risk of shortage. It is also working with Kazakhstan to develop high value metals and alloys for additive manufacturing. Dr Gareth Hatch, president of Innovation Metals Corp, said: "The cost-effective production of REE metals and alloys from separated REE oxides is an essential component of developing an independent REE supply chain outside of China. "This project is a natural progression of our previously successful work on the production of separated REE oxides via IMC's RapidSX process. We look forward to working with Metalysis to demonstrate an effective, integrated path for REE alloy production." REEs exhibit a range of special properties. Their use in components manufactured from a wide range of REE alloys and compounds are essential to the performance of numerous engineered systems for the green-energy, electronics, defense, aerospace and other sectors. Dr Ian Mellor, managing director of Metalysis' Materials Discovery Centre, said: "We are pleased to partner with IMC and NRCan and eagerly anticipate the results of combining our know-how during this project. "Metalysis' process can produce a wide range of advanced alloys and REEs are an area of substantial research interest, which we look forward to exploring together." Canada is investing in R&D as it has significant critical metal reserves and an opportunity to supply some of the global demand. Honourable Jim Carr, Canada's Minister of Natural Resources, said: "This research supports the Government of Canada's commitment to a low-carbon future. Environmentally friendly and energy-efficient technologies will drive Canada's sustainable growth in the mining sector for generations to come." The research project is expected to be completed in the Spring of 2018.